Ladies and gentlemen, drumroll please……the Winner of the Stamp and Create with Deborah ‘Treasure Hunt’ is…..
“HEATHER – CricuitDiva”!!!! Congratulations, Heather!! 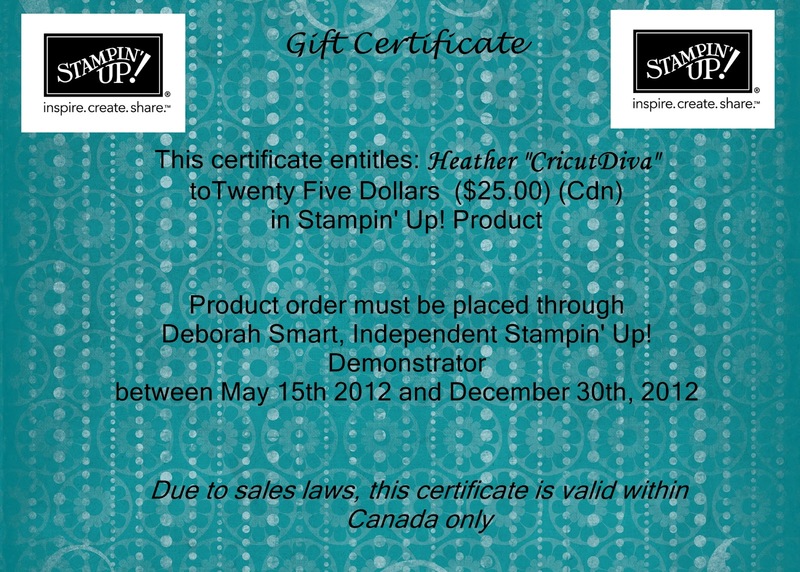 If you live in Canada, you have won a $25.00 certificate from me for Stampin’ Up! product! Perfect, as the new Catalogue will be released in 16 days!! However, if you live outside of Canada, laws prohibit me from selling to you….. In which case – I will send you – from the NEW CATALOGUE – the fabulous ‘Betsy’s Blossoms’ Stamp Set in clear mount – a set of 6 stamps, valued at $26.95!! The stamps you see, with the exception of the sentiment, are all part of Betsy’s Blossoms, plus there’s a couple I didn’t use. So Heather – check your email – I’m sending you a message now!! Congratulations on winning the Stamp and Create with Deborah ‘Treasure Hunt’!! Previous Previous post: Final Days of the Treasure Hunt! Next Next post: Only 9 More Sleeps!